The largest model of the Intermec PB printer series, the PB51, is particularly well suited for usage as a flexible packing slip printer. 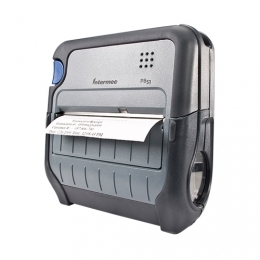 With a maximum media width of 111.5 mm, also use the direct thermal printer for receipts, invoices and sales slips. Thanks to central device management via SmartSystems you save on excessive support expenditures and reduce maintenance costs. The standard variant features a USB or RS232 port. Optionally available are variants with Bluetooth and Wi-Fi for wireless operation.